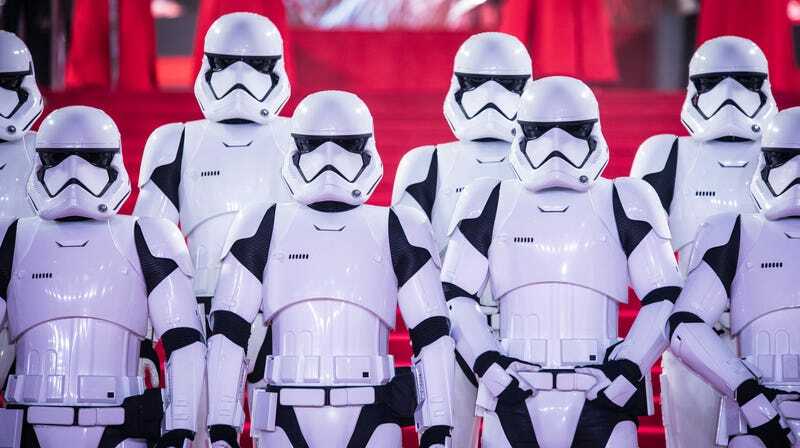 For months before and after the release of Star Wars: The Last Jedi—a widely critically acclaimed movie and box office titan—what appeared to have been a small number of fans made it known they were rabid haters of the movie’s twist on the franchise’s formula. They were mad about everything, from plot holes and director Rian Johnson’s supposed disdain for the fandom to its focus on inclusivity, and they tried their best to make it all about them and how angry they were. Well, just as you might have thought, it turns out one force driving that backlash forward may have been disingenuous manipulation of social media sites like Twitter to promote political propaganda. Forty-four of those accounts were identified as bots, sock puppets, or trolls, and 61 of those 206 accounts showed a “clear political agend[a]” — a definition that includes real humans who tweet heavily about politics. Of the 44 bot/sock puppet/troll accounts, 33 were identified as trolls or sock puppets. Bay identified only 16 of those 33 as appearing to be Russian trolls. The trolls and bots are actually a minority of the accounts tweeting negative opinions about The Last Jedi. The small number of foreign trolls makes sense, even if the goal of the Russian Federation is “propagating a narrative of widespread discord and dysfunction in American society,” as Bay wrote in the study. Riling up a handful of people angry about Star Wars is not exactly a major geopolitical win, and seeing the nefarious hands of the Kremlin at the root of every online scuffle is an unhealthy obsession. Because of the limitations on the data set and the less-than-comprehensive nature of this study, generalizing and extending this to the entire Star Wars fandom should happen with extreme caution. not all disappointed fans are Twitter users and not all disappointed fans go as far as tweeting directly at Rian Johnson in anger. The same can be said about fans who view the film positively, of course, which is why this study looks at a specific discourse situation as a measure of the situation. It is nonetheless noteworthy that a majority of the negativity stems from politicized accounts which are often part of an organized attempt to disrupt and sow discord using the The Last Jedi controversy. Yes, the people who don’t like a particular movie don’t all dislike it for the same reasons, but it gets harder and harder to have an honest discussion about cinematic quality, let alone cultural impact, when some of the speakers are just there to throw kerosene on a flame war. And when that happens, when it’s impossible to know which sentiments are real and what motivates the people sharing them, discourse crumbles. The full study is available for download on ResearchGate.